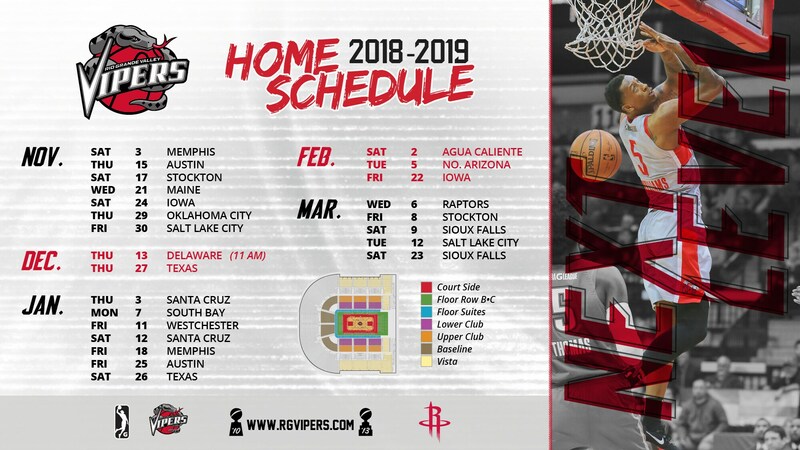 The Rio Grande Valley Vipers celebrate their 12th season in South Texas. As in years past, community remains a key element of the franchise, with community involvement being a huge component. For information about our community efforts, please contact our Community Relations Coordinator April Aguilar. Our players/staff are a valuable asset to our franchise. Travel, and of course, practices, take up much of their time. Although challenging, we do try and accommodate player requests. To start the request process, please contact our Community Relations Coordinator April Aguilar. Our Corporate Angel Program is for businesses and/or people to help our local children, particularly those who are less fortunate, attend a Rio Grande Valley Vipers game. The support of generous, community-minded businesses and people, enables us to provide these opportunities to these kids. These children, without the help of our sponsors, may never have the opportunity to attend, otherwise. To request a donation, please contact please contact our Community Relations Coordinator April Aguilar. All donation requests must be submitted four weeks in advance. We will attempt to respond to requests that are made on shorter notice, as well. Requests will be responded to via email only, two weeks prior to your event.